Join the ranks of the dedicated professionals who teach the world’s most progressive and popular scuba diver education programmes. You earn a PADI Instructor rating through hard work and commitment, but you’re rewarded with a job that lets you share incredible underwater adventures with others – transforming their lives for the better and enriching yours. The EFR Emergency First Response Instructor is conducted during this period and takes approximately 2 days to complete. This course provides qualified individuals with the training necessary to teach the Emergency First Response Primary Care (CPR), Secondary Care (First Aid) and Care for Children Courses. Dive professionals who hold an instructor rating with another diver training organization may be eligible to enrol directly in the OWSI program. This recognizes prior instructor training and provides a path to become a PADI Instructor. By completing your course with Pro Dive you will automatically have access to the Dive Careers International platform improving your employment opportunities worldwide. The Instructor’s course is run full time from 9 am to 6 pm daily, over 13 days and includes a FREE two-day orientation and preparation workshop at the start of the course. This method of training ensures thorough preparation and dramatically improves your success on the course. All sessions must be attended for the successful completion of the IDC and enrolment on to the Instructor Exam. Individual assignments are to be completed after hours. Be a current PADI Divemaster or Divemaster/Assistant Instructor in good standing from another training agency for a minimum of 6 months. Submit a medical clearance for diving signed by a physician attesting to fitness to dive. Must have been a certified diver for at least 6 months. Submit proof of a current CPR and 1st Aid training within the last 24 months. Submit copies of any equivalent certifications for entry level, advanced and rescue certifications. Note: Medical clearance must have been completed in the last 12 months. In the event that is not the PADI Medical form, the letter needs to indicate that the candidate is “Fit to Dive”. This is a full-time programme which is run in Port Elizabeth over 13 days from 9 am to 6 pm daily. All sessions must be attended for the successful completion of the IDC and enrollment on to the Instructor Exam. Individual assignments are to be completed after hours. The Instructor Exam (IE) is a two-day evaluative program that tests an instructor candidate’s teaching ability, dive theory knowledge, skill level, understanding of the PADI System, and attitude and professionalism.  PADI IEs are standardized and conducted by specially trained PADI Instructor Examiners. The IE location, testing environment and examination sessions are organized to be as objective as possible to fairly and consistently evaluate a candidate’s abilities. Only those who meet the IE performance requirements earn the respected PADI Instructor certification. There is a fee for attending an IE. The PADI Instructor Crewpack includes all the materials required to prepare for the IDC. For reference, it is recommended that you have all your other PADI materials on hand e.g. Advanced, Rescue, Divemaster Crewpack. Lesson planning slates for confined and open water. Quiz and exam booklets for the core courses. Note: Registration Fees are quoted in British Pounds and payable directly to PADI.